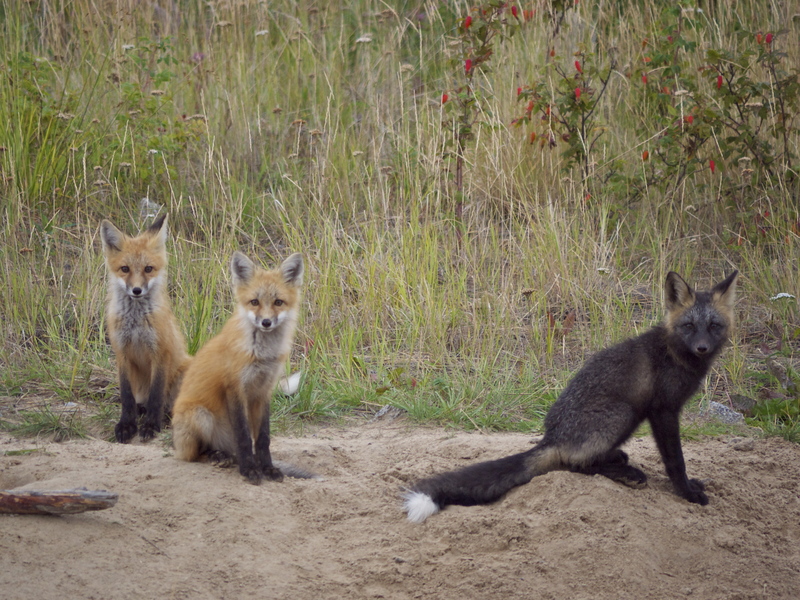 We came across this fox family on a drive out of town – there is just one road, that leads out to the wild land. They were not shy! I love this photo my husband took. I’m going to enter it into a local photo contest. 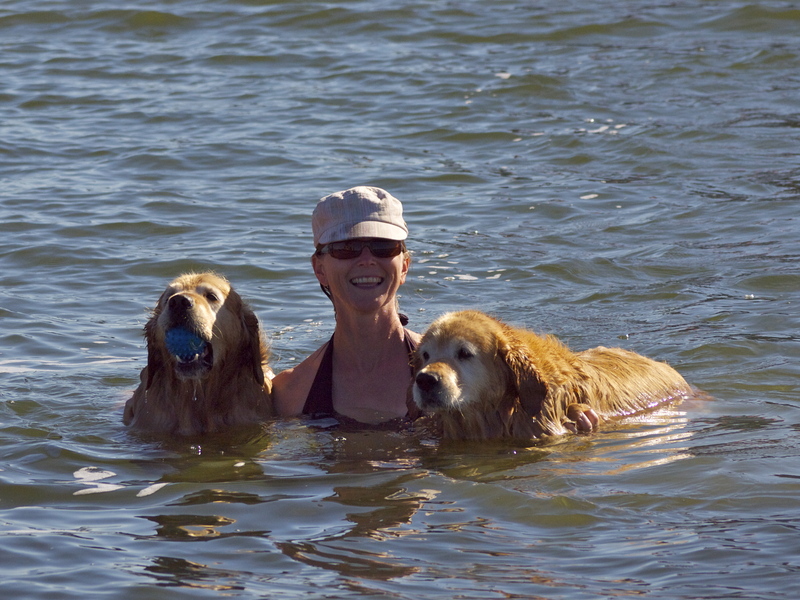 Swimming with dogs is lots of fun for all of us. 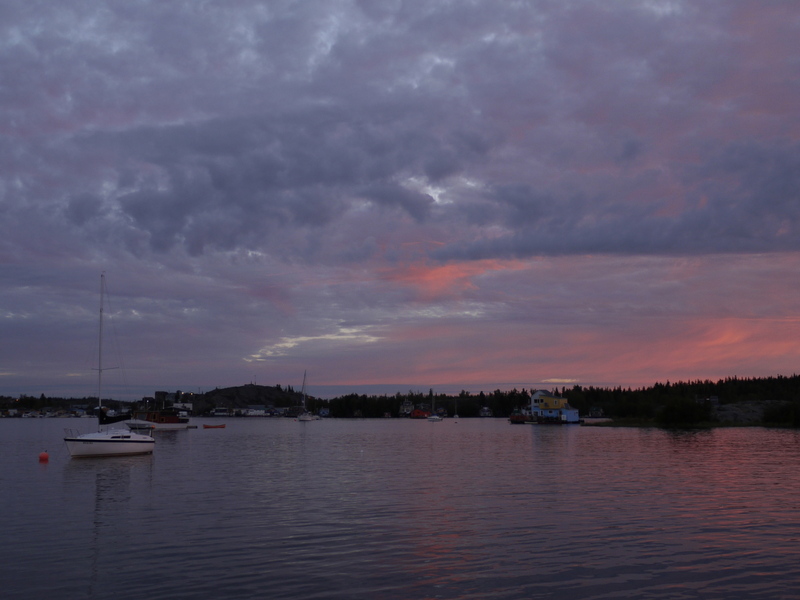 Another sunrise – note how the position of the sun has changed from the photo posted in July. It changes quickly. 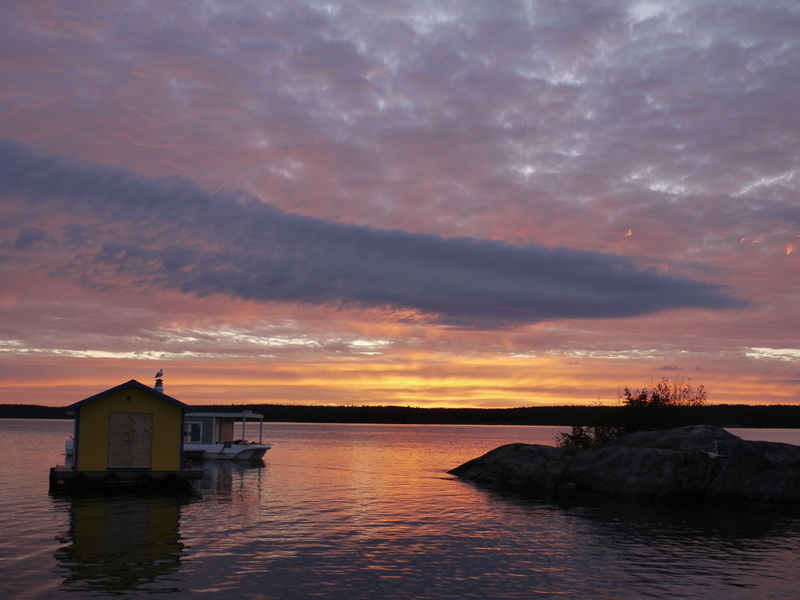 It pays to get up early when you get views like this! 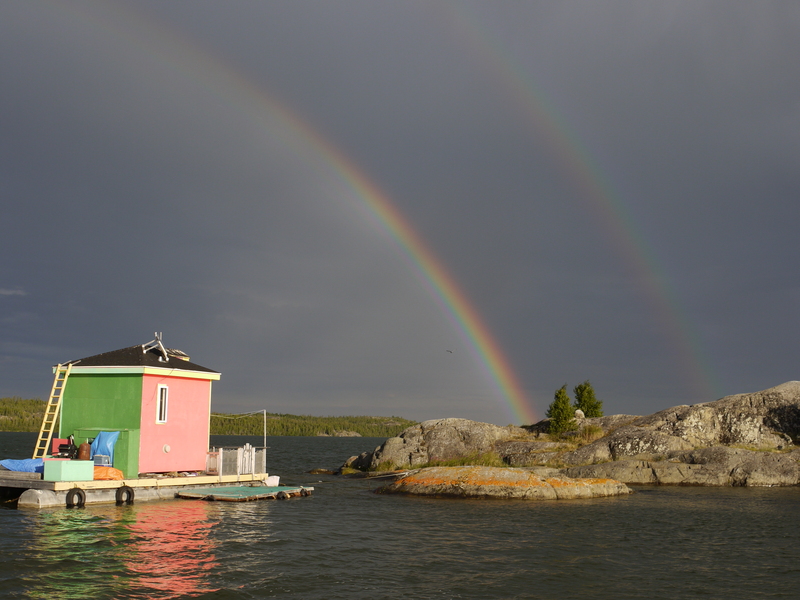 Rainbow over the neighbouring houseboat – the Pink Palace. 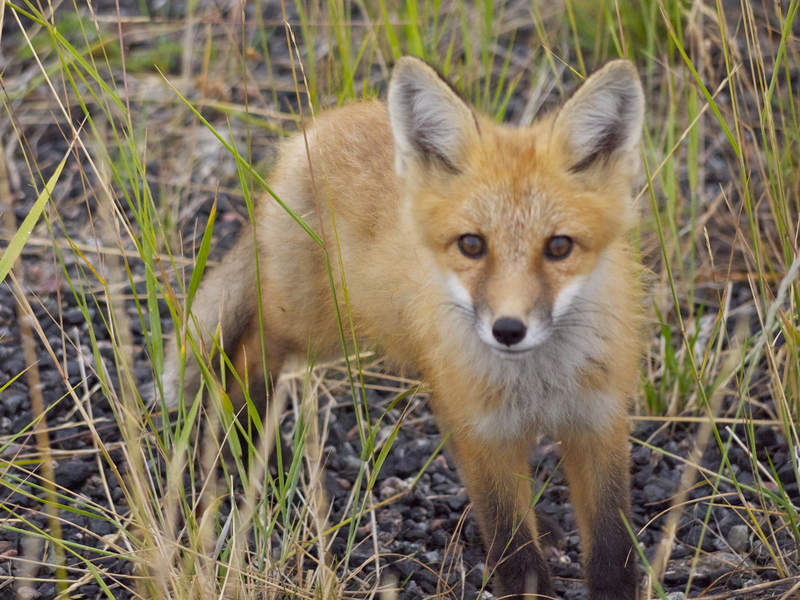 This entry was posted in photos and tagged foxes, sunrises. Bookmark the permalink. Hey Lisa, thanks! I love to get feedback. 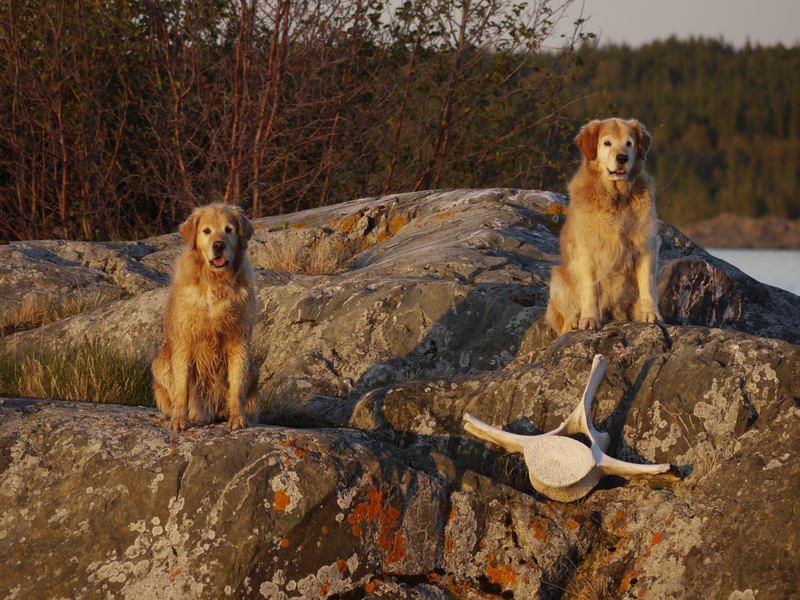 Hope you guys are well – we miss you.